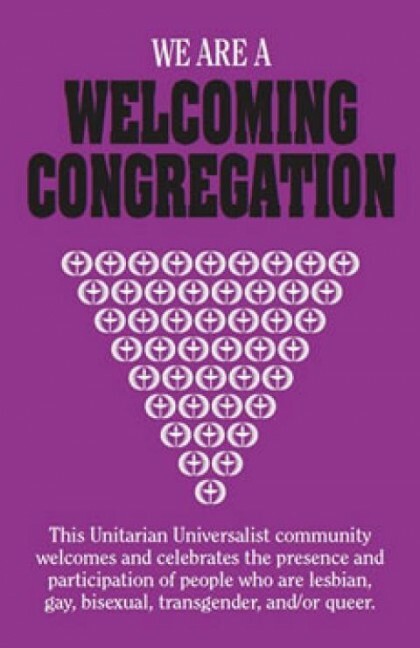 At UUCBG, everyone is welcome, no matter who you love or how you identify your gender. Our minister is happy to celebrate rites of passage with you, such as marriages, dedications of children, and gender-affirming ceremonies. 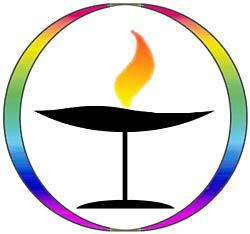 On 31 July 2015, the UU Church of Bowling Green was officially recognized by the Unitarian Universalist Association as an LGBTQ Welcoming Congregation. 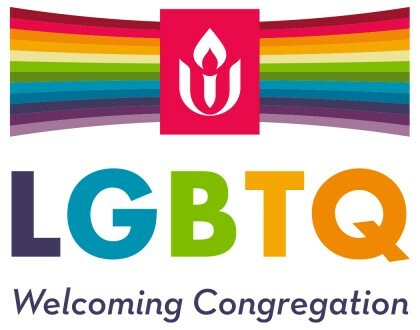 A series of workshops helped us take intentional steps to become more welcoming and inclusive of everyone, regardless of sexual orientations and gender identities. All-gender signs have been installed on our single-person restrooms. The signs come in a variety of colors, are ADA compliant, and have Braille writing. They’re made by SmartSign, which is currently donating two signs to churches, schools, and non-profit organizations. PFLAG (Parents, Families, & Friends of Lesbians and Gays) meets at our church building on the last Monday of the month at 7:00 p.m.The group promotes the health and well being of LGBT persons. It actively support their families and friends through education and positive advocacy.